We’ve all made that promise to ourselves when we feel the world is our enemy and we can’t talk to another human: Not another drop for me. But that’s a politician’s promise and come wedding season, we’re back at clinking glasses and toasting to the couple’s and everyone’s happiness. Well, as effective wedding planners who look out for your every need, we have the best known, and tried-and-tested precautions and antidotes for what comes after those celebratory toasts. You could get your wedding planner to factor in ‘hangover kits’ as party favours. Yes, that’s a thing. 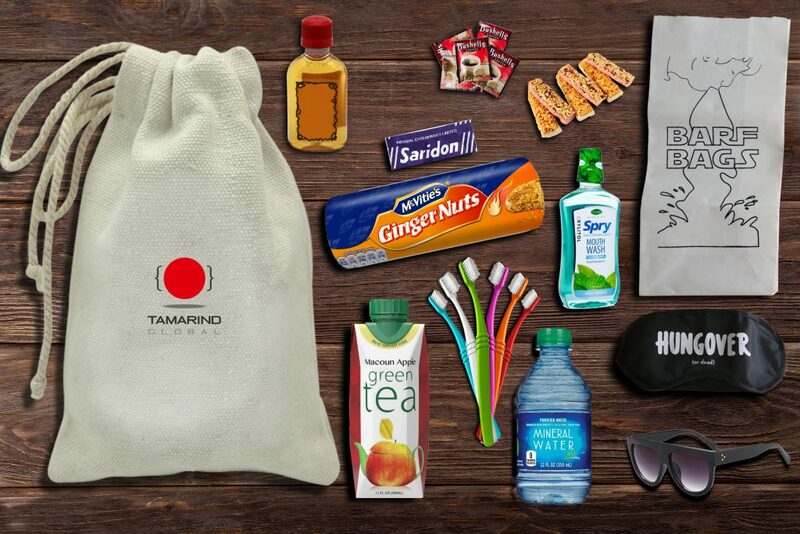 So, with a handy kit already having painkillers, instant coffee, a bottle of water, an energy bar, mints or gum and anything else you might want to add, hangovers won’t seem insurmountable. The best thing to do is monitor your alcohol intake and remember that the way to enjoy conversations, food and even the drinks at the party is when you are in control of your senses. But if you feel you will get carried away, delegate a friend to ‘keep an eye’ on you and stop you from having one too many. Alcohol causes dehydration is a basic dictum, what with all the – ahem – peeing. Also, excess alcohol makes you throw up, feel tired and dizzy. It’s not pretty, but flush out the toxins and stay hydrated – with water – while nursing a hangover. Water is also a good solution at the drinking stage. Follow a glass of alcohol with a glass of water, so you’re likely to drink that much less and can also bring down the hangover symptoms. Eating is the last thing you want to do, but it is important to maintain blood sugar levels to get over the hangover. But that doesn’t mean something sugary. You need a nutritive breakfast like stuffed parathas, or eggs and fruits to replace the vitamins and minerals you are losing. Wedding households are usually spilling over with food, so you could be spoilt for choice. If a heavy breakfast seems too much to take, a breakfast cereal or nuts are a good option. Curds and buttermilk are sworn-by traditional remedies. Sleep is a good solution for a lot of problems, including alcohol. Get a good, long night’s – and day’s – sleep to allow your body to recover from the hard partying. So it’s like the poison-beats-poison formula. Called ‘hair of the dog’, downing a glass of the alcohol that gave you the hangover in the first place has been a recommended remedy. However, increasingly science suggests it’s not really the right way to do, and could in fact aggravate the problem. And we haven’t really heard of anyone try this antidote for themselves.